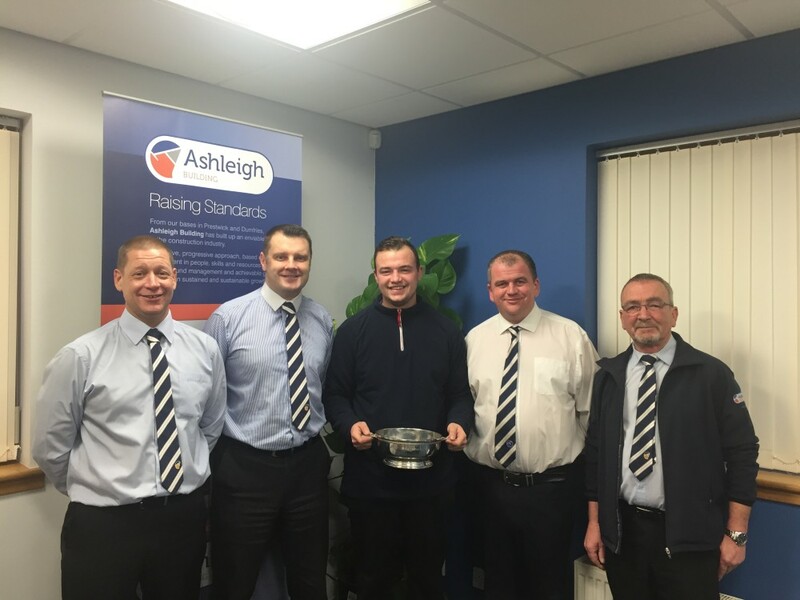 Ashleigh Building is delighted to announce Martin Lochlon as our Apprentice of the Year for 2015. Martin, 19 from Kilmarnock, is an apprentice bricklayer and beat off stiff competition across all of our trade apprentices to win the Ashleigh Quaich, along with driving lessons. Pictured with Martin is Ashleigh Building’s Managing Director David Smith and Contracts Managers Colin Pyke, David Roan and Roy Walker. Well done Martin.